Can you guess where was I last Saturday? 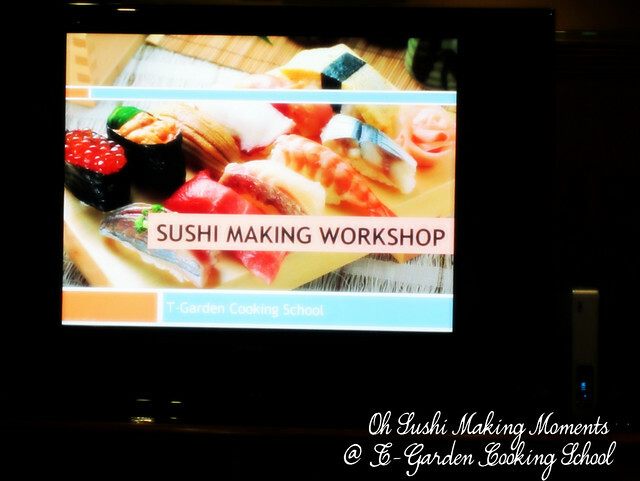 Tadaaa~ I attended a sushi making workshop at T-Garden Cooking School in Cheras (behind Tesco Extra, Taman Midah). 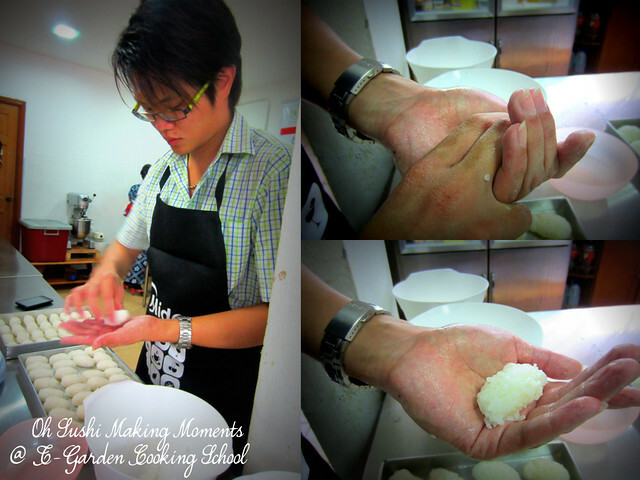 Back to my sushi making moments. 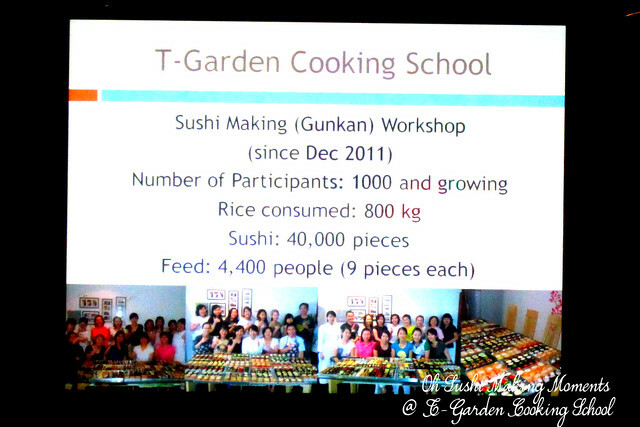 When I stepped into T-Garden Cooking School, I was shocked. 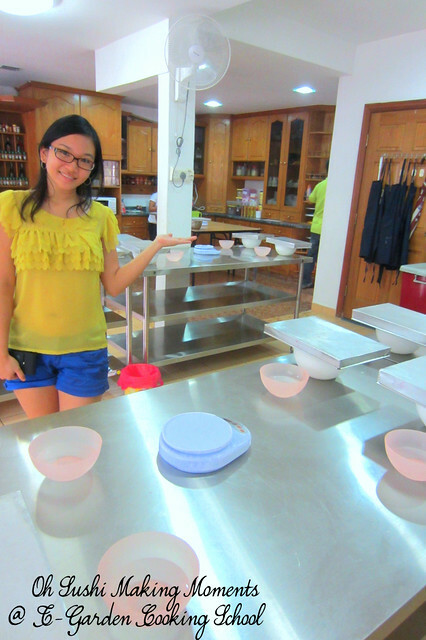 This cooking school, is very homely (being located in a house), with a very complete kitchen! Oh ya, not to forget, they have a HUGE kitchen. 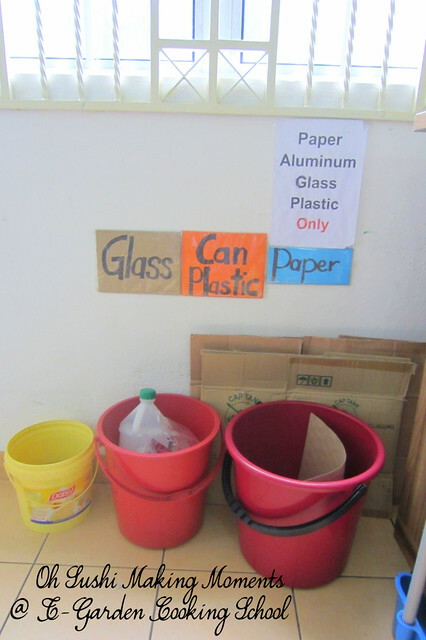 Not only that, it also has a recycle corner! I really respect that! 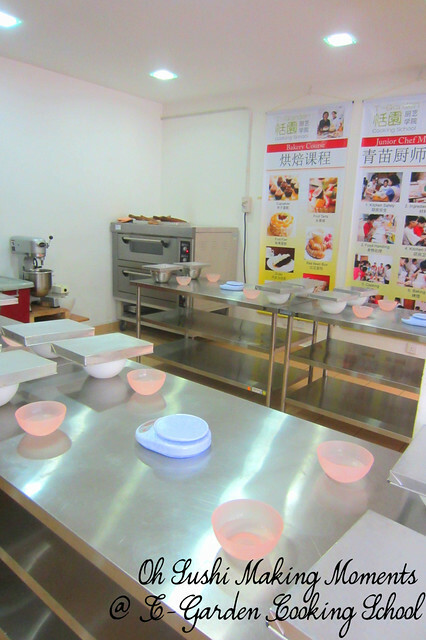 A cooking school with a heart of gold. By just looking at this corner, it actually instill awareness amongst the participants to NOT simply chuck the waste any where. Alright, I'm ready... Let's go! 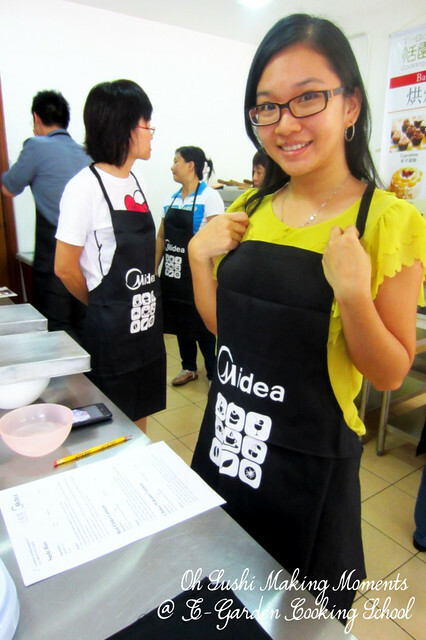 First, all participants are given an apron to put on. How do I look? 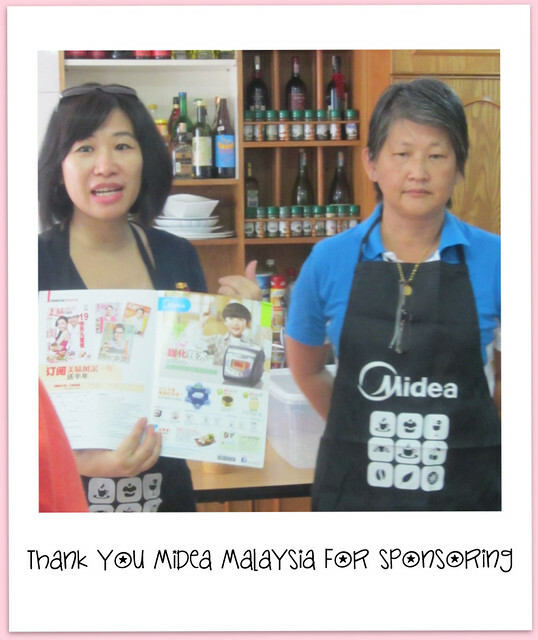 HAHA..
We were then welcomed and briefed by Ms. Seow, representative from Midea Malaysia. If I am not mistaken, there will be more of this event being arranged in future. HAHA, so remember to check out Midea Malaysia and T-Garden's Facebook page and check out if there's any "not-to-be-missed events"! 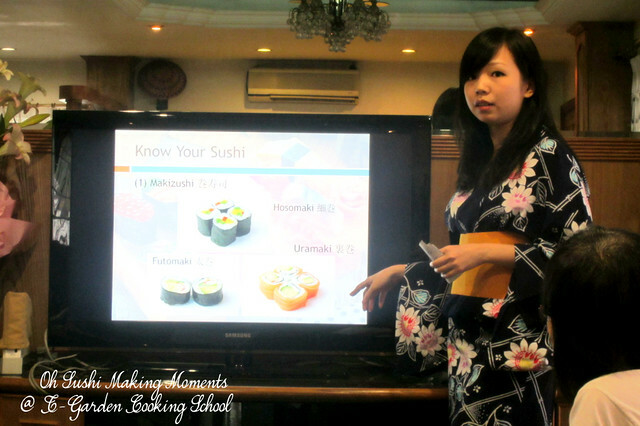 Okay, the instructor/teacher or what we call "Lao shi" in mandarin, kick start the lesson by teaching us how to make the sushi rice. 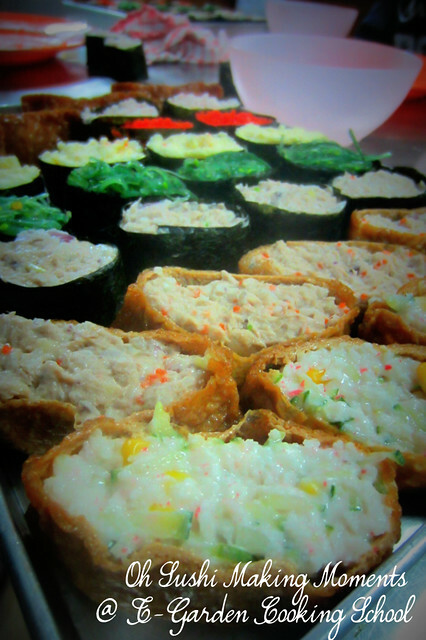 This sushi rice can be prepared by using the rice cooker. 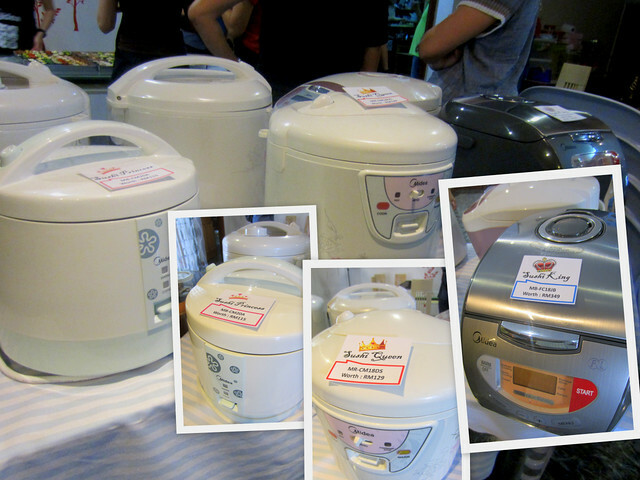 In this case of course, we used Midea's rice cooker and lao shi said the rice turned out perfect! 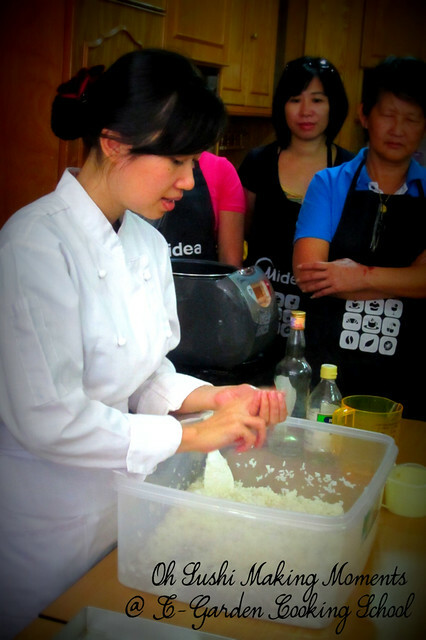 While demonstrating the techniques of making the rice, lao shi also taught us on the types of rice and vinegar available in the market. So being good students, me and XeROz tentatively practised our skills. 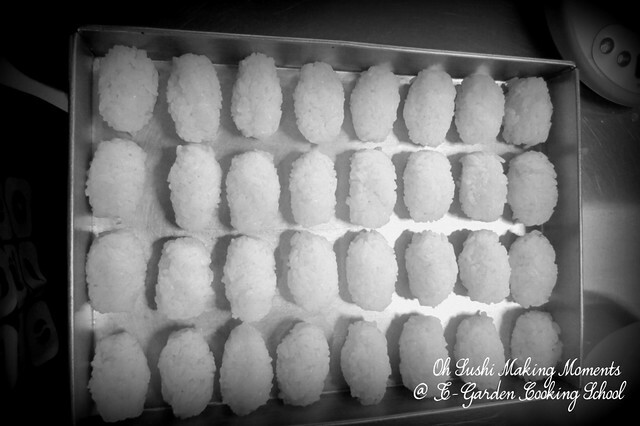 An ideal sushi rice, should be about 3.2cm long and weigh 20g. 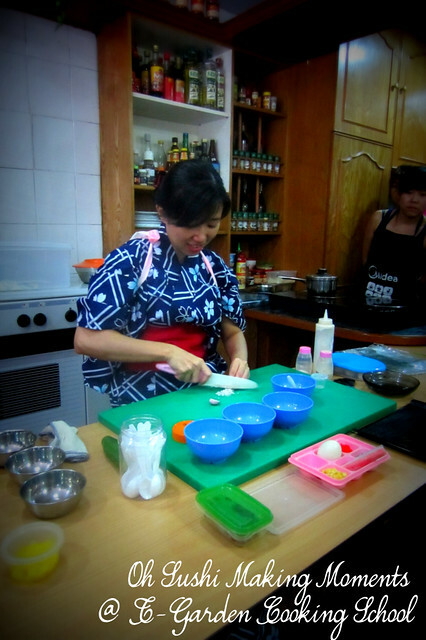 Being born a culinary genius, making sushi rice is no big problem for me. *boast* So here's my sushi rice. 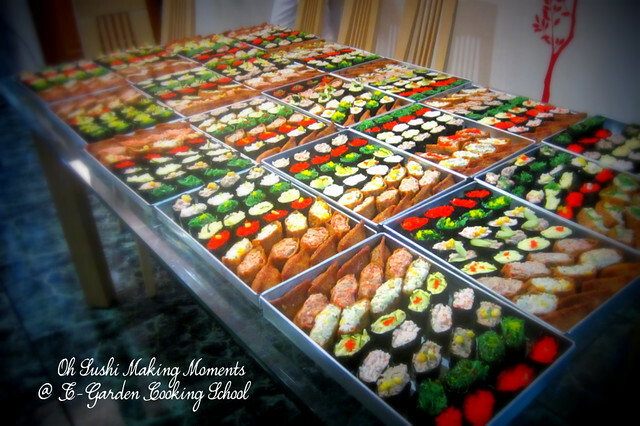 After that, we all went for the sushi presentation. The presentation is being conducted by Florence lao shi. 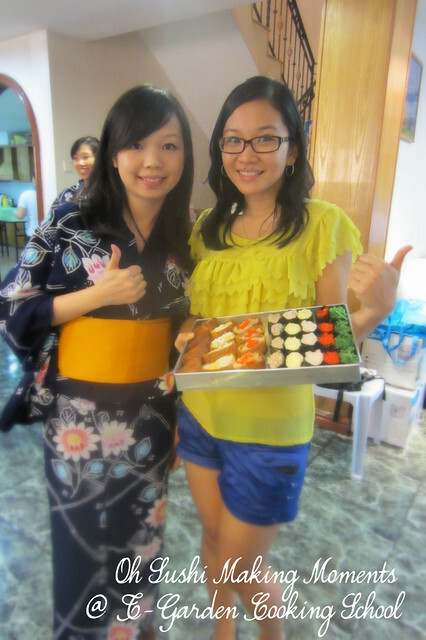 While we were all busy with the rice, our lao shi went to change into KIMONOS! 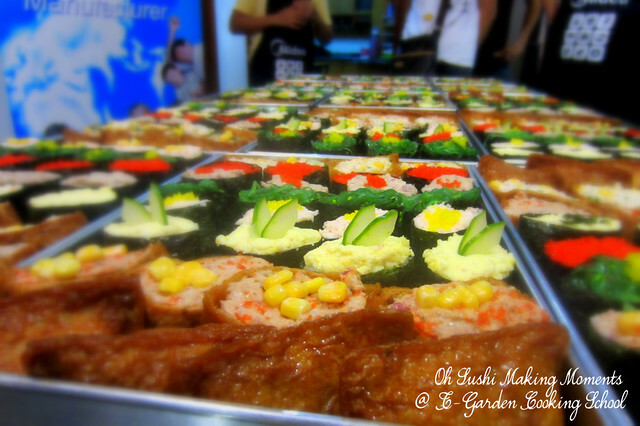 So, Florence lao shi explained on the types of sushi available - eg. Nigiri, Gunkan and many more *can't remember* hehehe..
She also informed us where we can find the sushi making ingredients, so that we can go home and start making sushi for our family and friends! 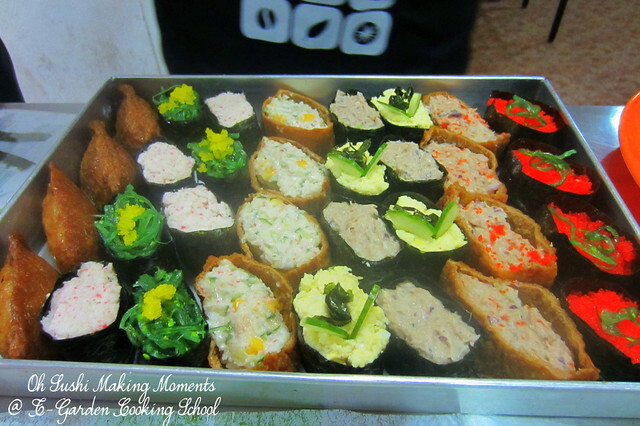 Anyway, the most incredible thing is that we are not the first batch of the sushi making workshop. This workshop has already taught more than 1000 students! As we stepped back into the kitchen, our "toppings" for the sushi has been prepared. 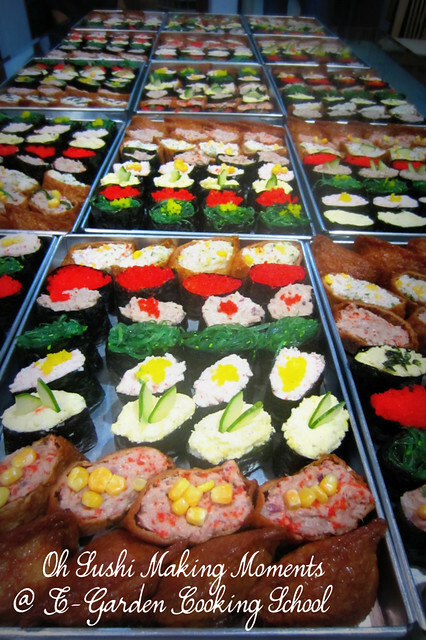 I see wakame, ebikko, smashed eggs, mixed salad and tuna! 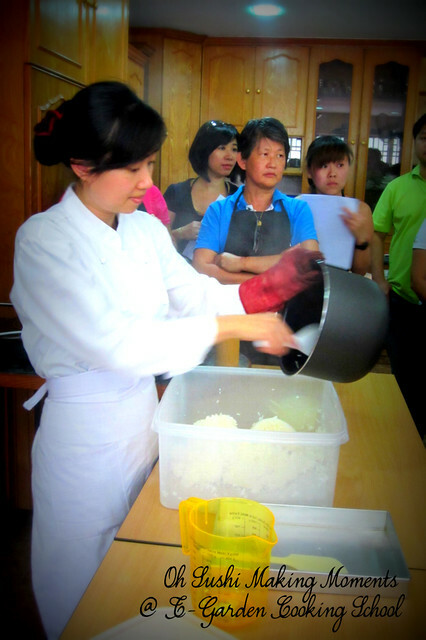 This is what the lao shi made during the demonstration. Mine is really plain and ugly, and my seaweed all turned sticky and foggy! *sulks* I have no talent!!! 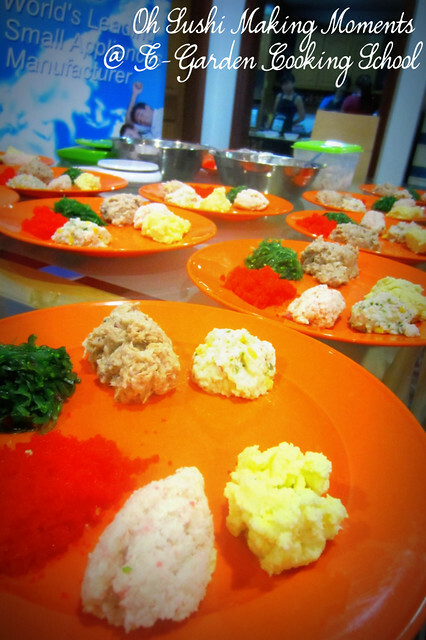 Even a small boy can make better sushi decoration than me! Ta daaaa..... can you spot which is mine? 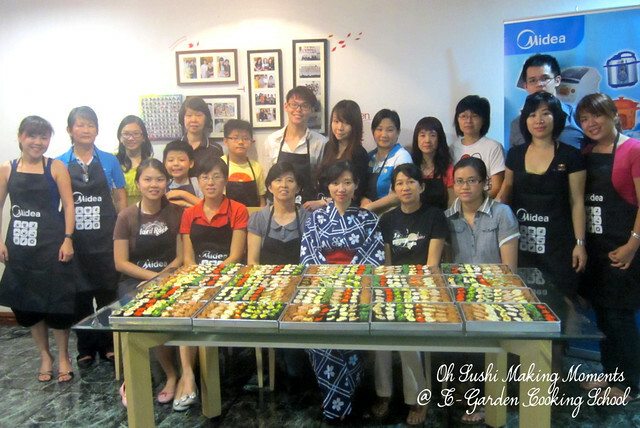 So here's all the sushi beginners... Just, they are better than me HAHAHA.. 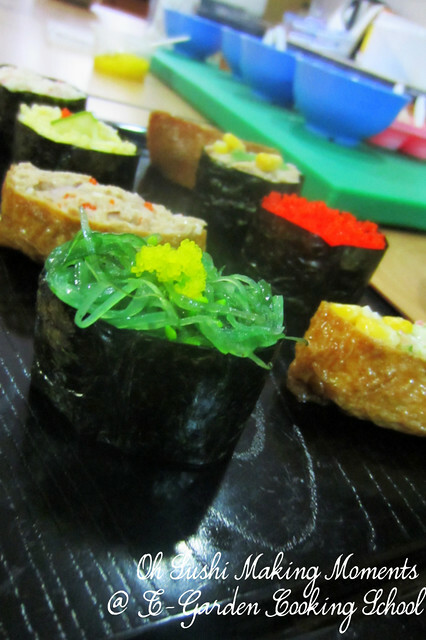 Even Ms. Seow's sushi looked good. 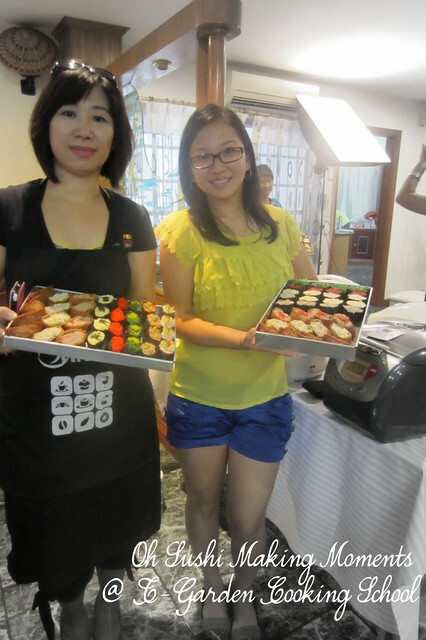 Her ebikko really looked mouth-watering! 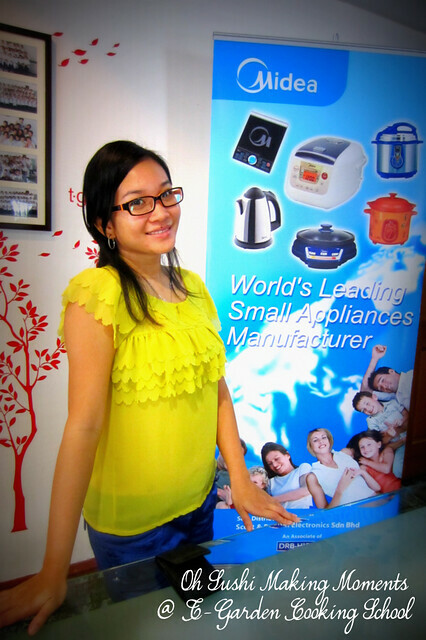 Last but not least a photo with cute Florence lao shi.. I forced her to give a thumbs up to my sushi! 1) Post my sushi making moments. 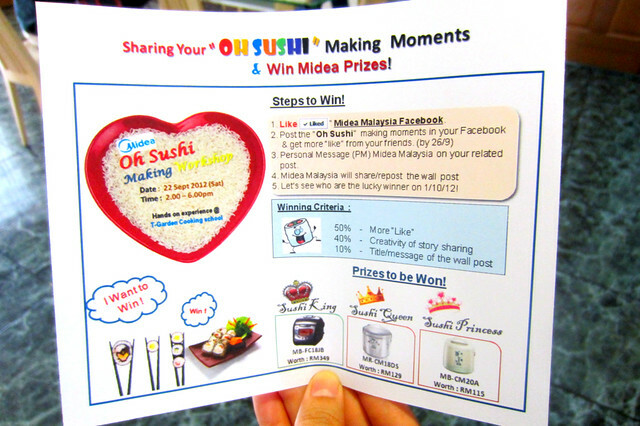 The winners will bring home, Sushi King (not the restaurant) rice cooker, Sushi Queen and Sushi Princess. There's no Sushi Prince model yet, but don't worry. 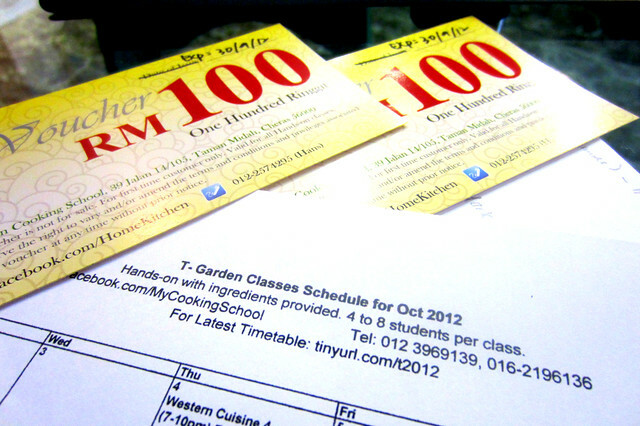 T-garden Cooking School has also given me RM100 vouchers rebate if I would want to enroll in their October class. Unfortunately, I'm really busy on October weekends, so I wish to give away these 2 vouchers (1 from me, 1 from XeRoZ). Common sense tell me that these vouchers are not stackable. 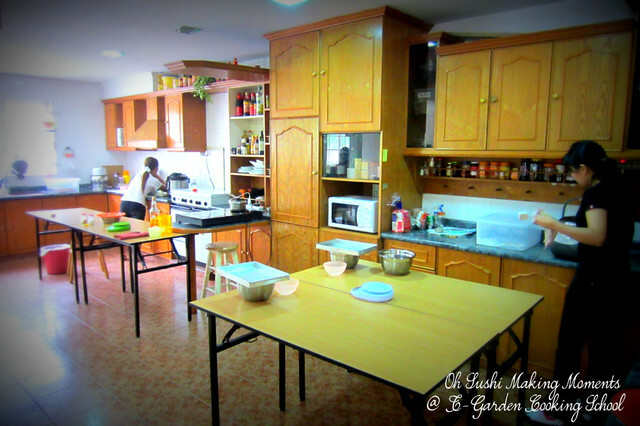 So, I'll be giving 2 different individuals who are keen to participate in the cooking courses offered by T-Garden in October. Here's the link to their OCTOBER SCHEDULE. All you need to do is drop me an email: msxeroz@gmail.com and tell me I am awesome send me your address before 12pm, Friday (28th September). I will use a ONE-day courier service and get the vouchers delivered right to your doorstep by 29th September. So,you still can use the vouchers. Courier fee of RM6.80 (klang valley area) per document will be fully sponsored by MsXeRoZ.com. I will only post these two vouchers to KL & Klang Valley address only. 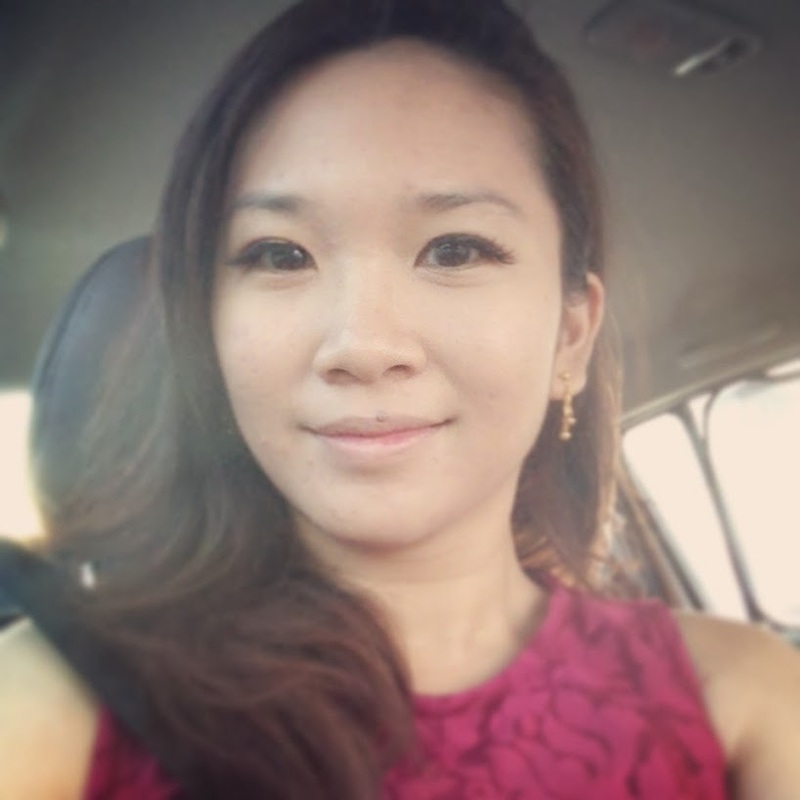 So before I go to bed tonight~ "LIKE" my blog post for me yah! 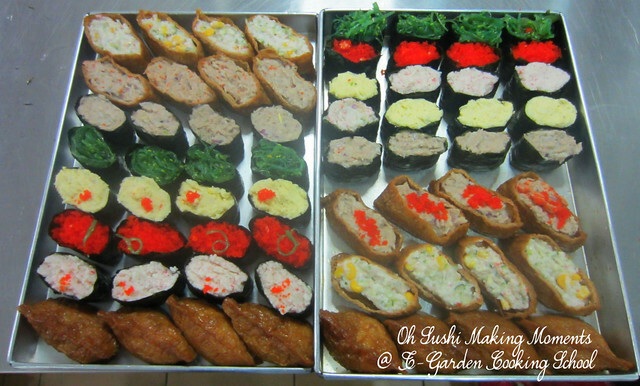 hahahah..
Goodnite every sushi lovers in the world! (UPDATED 12.23AM, 27 Sept 2012) 1 Voucher is redeemed by Christal Loh. So left 1 more yah!